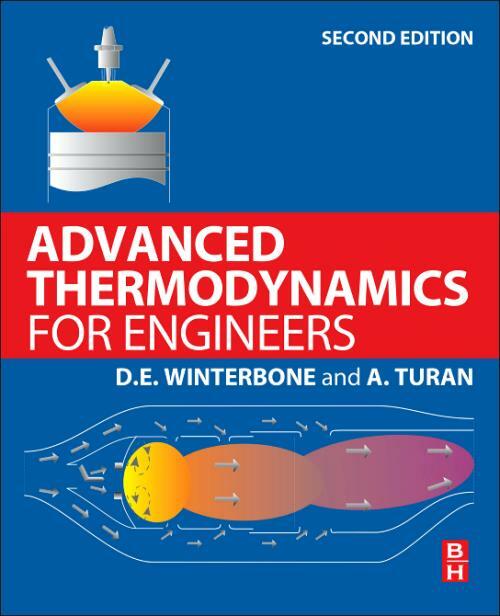 Advanced Thermodynamics for Engineers, Second Edition introduces the basic concepts of thermodynamics and applies them to a wide range of technologies. Authors Desmond Winterbone and Ali Turan also include a detailed study of combustion to show how the chemical energy in a fuel is converted into thermal energy and emissions; analyze fuel cells to give an understanding of the direct conversion of chemical energy to electrical power; and provide a study of property relationships to enable more sophisticated analyses to be made of irreversible thermodynamics, allowing for new ways of efficiently covering energy to power (e.g. solar energy, fuel cells). Worked examples are included in most of the chapters, followed by exercises with solutions. By developing thermodynamics from an explicitly equilibrium perspective and showing how all systems attempt to reach equilibrium (and the effects of these systems when they cannot), Advanced Thermodynamics for Engineers, Second Edition provides unparalleled insight into converting any form of energy into power. The theories and applications of this text are invaluable to students and professional engineers of all disciplines. Desmond Winterbone was the Chair in thermodynamics in UMIST (became University of Manchester in 2004) for 22 years, until his retirement in 2002. He graduated in Mechanical Engineering while undertaking a Student Apprenticeship, where he developed his interest in reciprocating engines. He embarked on PhD studies on diesel engine performance in University of Bath, graduating in 1970. He then joined the staff at UMIST where the general theme of his work was the simulation of prime movers with three main aims: thermodynamic analysis - to obtain a better understanding of engine performance; synthesis - to enable new engine systems to be designed; control - to improve the performance of such systems by feedback mechanisms. He has published five books on thermodynamics and engine simulation. Professor Winterbone served as Vice-Principal, and Pro-Vice Chancellor of UMIST. He retired in 2002, but undertook a number of consultancies and teaching activities: he also obtained a BA in Humanities. Professor Winterbone was an active member of the IMechE Combustion Engine Group and Chairman from May 1991 to 1995. From 1989-96 he was Chairman of the Universities Internal Combustion Engine Group - a discussion forum for research workers and industrialists. He was elected to the Fellowship of the Royal Academy of Engineering in 1989. He was awarded a Mombusho Visiting Professorship at the University of Tokyo in 1989, and spent three months in University of Canterbury, New Zealand on an Erskine Fellowship in 1994. He has been active in promoting links throughout the world, including particularly Japan and China. In addition he has a number of contacts in Europe and was awarded an Honorary DSc from the University of Gent (Belgium) in 1991. Professor Turan is currently a chair holder in thermodynamics of power generation and propulsion at the University of Manchester. He received his Ph.D. in the area of Computational Fluid Dynamics/Combustion from the University of Sheffield, in 1978. Since then he has been involved primarily in developing and implementing a variety of state-of-the-art algorithms in challenging fluid dynamics, heat and mass transfer problems in industry primarily in the energy conversion/propulsion and thermal manufacturing/processing arena in the USA as an academic interface. He has substantial experience in the development and application of advanced turbulence modelling, submodels for two-phase flow, coal and oil combustion modelling, radiation and heat transfer analysis .He has also been heavily involved in the development of advanced computational techniques and algorithms (spectral element, high order finite volume) and application for the simulation of laminar, turbulent, non/reacting, multi-species, multi-phase flows in engineering configurations, including recently biomedical applications in a micro/nano transport environment.